Fuel Champion Restaurant & Juice Bar is your one-stop restaurant for energy-filled, delicious cuisine at reasonable prices. Located in the Sheepshead Bay area of Brooklyn, NY. 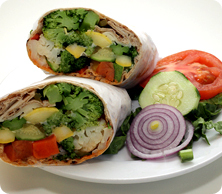 Our goal is to provide you with great food that contributes to your overall health long after the meal is over.Thirsty? Come by for a smoothie, shake or freshly squeezed juice. While you’re in, try our Only 8 frozen yogurt and see how great 8 calories can taste! Everything on our menu is available for dine in or carry out. We also offer FREE delivery in the Brooklyn, NY area with a $10 dollar minimum purchase. Visit Fuel Champion Restaurant & Juice Bar today or browse the website for more information about our products and services.